The April, 1794 Issue of The Gallery of Fashion features in Fig. 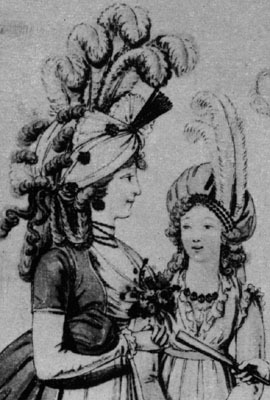 1 , on the left, a "turban made of light-blue satin, fringed with gold." 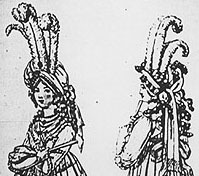 The headdress on the left is "The Turk, or crescent cap, made of Italian gauze, turned round the head-piece in folds, the ends terminating behind, trimmed with a deep silk net fringe, surrounded with a large border of gold foil, forming a diadem, in the front two large white feathers, inclining forwards; and on the top of the crown is placed a large button, set with brilliants, or pearls." The May, 1794 Issue of The Gallery of Fashion features in Fig. 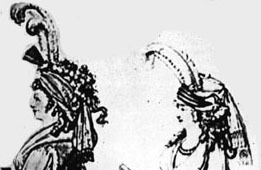 5 (detail of plate shown above) a "turban made of book-muslin, crossed at the left side in three parts with pearls." Fig. 6, also see above, features a "turban of silver, or glass- gauze, the ends falling to the bottom of the waist; the crown of scarlet velvet." Fig.  8 (see issue) shows a "turban cap, the cawl of white crape, spotted with silver, the end drawn to a point, terminating with a silver tassel." 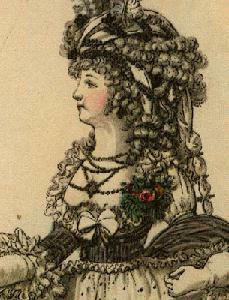 Above on left is a turban-like headdress described as "A chiffonet composed of salmon-coloured crape-gauze, with a bandeau of satin riband of the same colour, tied on the right side near the front in a small knot; upon the bandeau, a string of large beads. One salmon-coloured, and two white ostrich feathers, placed in the centre of the head-dress. Three diamond pins between the bandeau and the feathers." 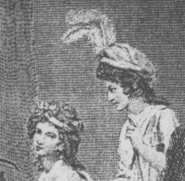 On the right, the headdress is described as a "Chiffonet of book- muslin, fancifully mixed with the hair and tied behind in a bow, the two ends trimmed with fringe, and falling very low; upon the bandeau, a wreath of small roses. Two white feathers, the tips spotted with purple. The side hair frizzed into small curls, and the hair behind falling down in ringlets. The magazine describes it as "A chiffonet of Itailian gauze; the bandeau composed of three rows of white pearls; two rows of the same pearls twisted round the chiffonet. Three plain white feathers, and two edged with lilac placed in the head-dress. Several diamond pins, fancifully disposed in the hair. Bell lappets of gauze, tied in different parts with pearls. The hair very lightly frizzed, thrown into a variety of curls and ringlets, and intermixed with the chiffonet." 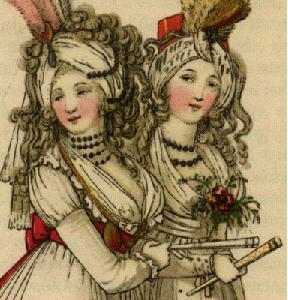 The February, 1798 Issue of The Ladies Magazine features a frontispiece showing a lady in a plumed turban.